Tay Kim Lai Thai Amulets Centre is located within Singapore’s Bras Basah Complex, at 231 Bain Street. Visiting the shop, you’ll find a wide range of antique Thai amulets, ranging in styles, materials, and symbols. As the range of available amulets changes constantly, the store showcases most of the latest pieces at their official Facebook page. 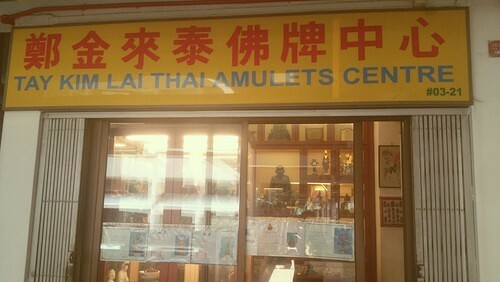 The official Facebook brand page for Tay Kim Lai Thai Amulets Centre is located at www.facebook.com/TAY-KIM-LAI-Thai-Amulets-Centre-6596344778-137523866421794/. Following the Facebook page, you’ll see some of the latest amulets available at the store, their promotional offers, plus more.